When the CC Containers are RFID tagged from January 2011, many companies have already now decided that they will scan every container that they receive. The scanning is to ensure that only CC Containers with the genuine RFID tag are accepted and to reap the benefits of RFID. The Dutch Flower Group (DFG) is one of the organisations that will scan from ‘day one’. When DFG decided to scan incoming CC Containers and support the RFID implementation, it was not only to preserve the well functioning plant logistics that exist within the CC Pool System today, but also to modernise the system to make it even more efficient. To support the RFID implementation in the horticultural industry, DFG has entered a strategic partnership with Container Centralen (CC), and DFG has decided to scan CC Containers that they receive and to accept the ones with the genuine CC RFID tag. – ‘The values of CC and their business model match the values and strategies of DFG, and this is further reinforced by the implementation of RFID. RFID will bring the CC pool into the future and give us a lot of new possibilities, which I feel is needed in the entire industry,’ says Harry Brockhoff. 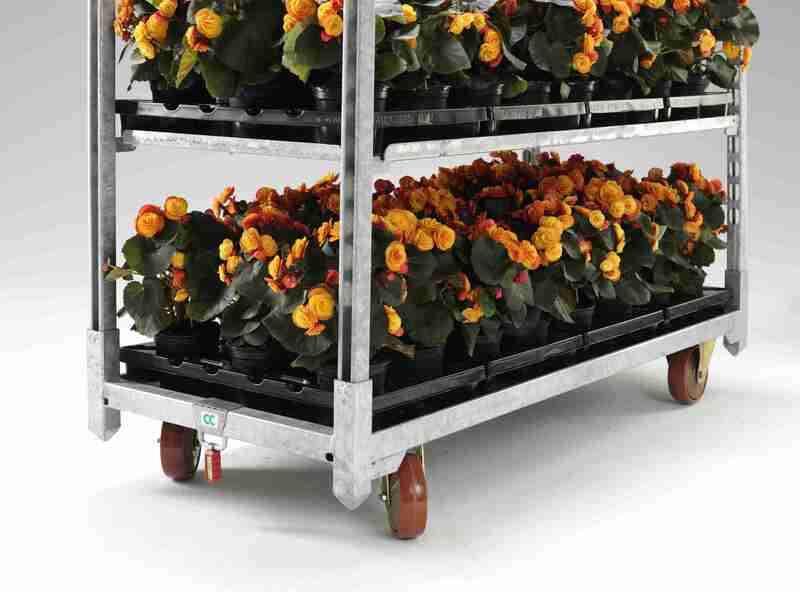 – ‘We are of course happy that DFG appreciates the value that RFID will bring to the entire horticultural industry,’ says Frans Zwetsloot, CSO Horticulture at CC. – ‘CC was founded and is still owned by some of the largest flower and plant organisations in Europe to make plant logistics more efficient, and therefore also more cost efficient. To live up to this obligation we of course have to protect the CC Container pool – and also to update it with new technology available to ensure continued high efficiency and competitiveness for the entire industry,’ Frans Zwetsloot concludes.